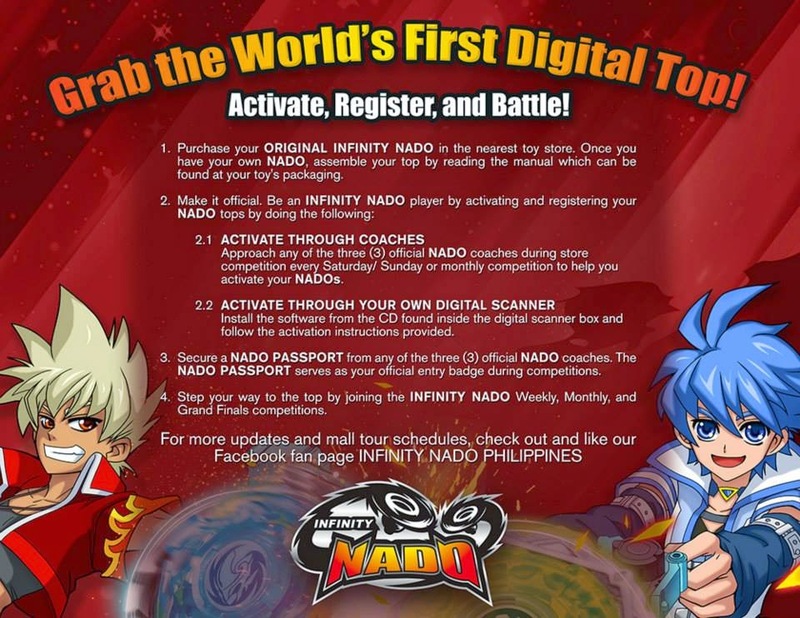 Meet the lovely Nado coaches: Coach Jessica, Coach Gem and Coach Angel as they show you how to be a top Infinity Nado player. The newest game that has been making waves all over Asia and the rest of the world is finally here in the Philippines. Those who love challenges using this very advance Top toy technology would surely love this. Prepare to spin your way to greatness with the all new Infinity Nado. The digitally advanced top is based on a popular Anime series of the same title that focused on battle, justice, & friendship. The story features the adventures of Jin and his mates as they enter the center of the Gyro-type tower to stop its rotation and overcome the evil forces to save the world. Watch out for Infinity Nado spinning tops such as the Infinity Nado Aspis, Infinity Nado Jester, Infinity Nado Cyan Spout, Infinity Nado Furious, etc. 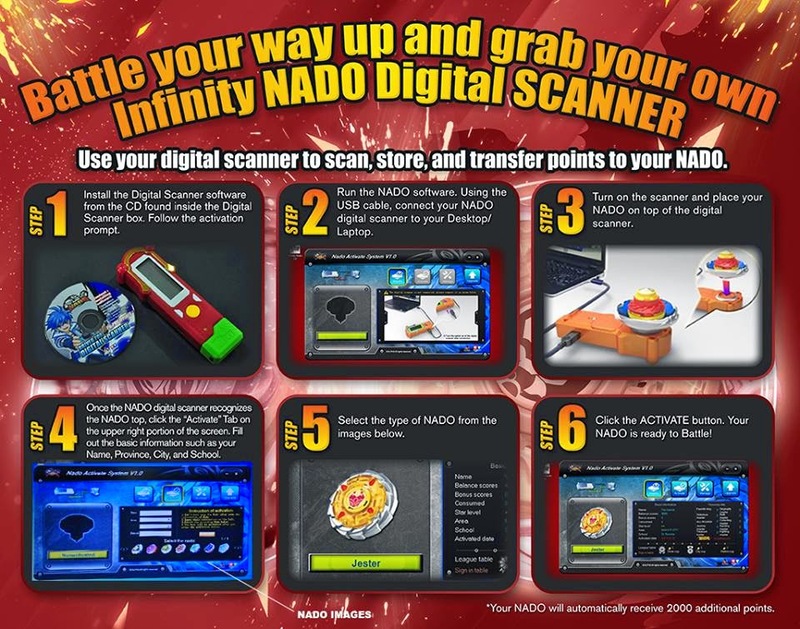 Watch out for the upcoming Infinity Nado championships happening in the Philippines soon. The winner/s will represent the country in an international battle. 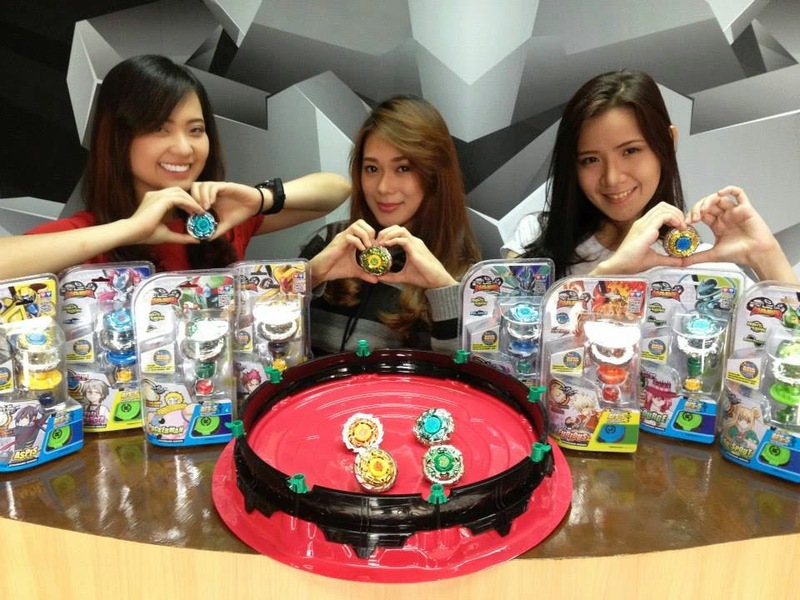 You can now grab your Infinity Nado toys in Toy Kingdom, Toy Town, Toys R’ Us and other toy stores in Metro Manila.